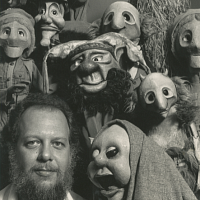 Frank Ballard with puppets, created by Bil Baird and Sergei Obratsov. Part of the museum’s diverse collection. 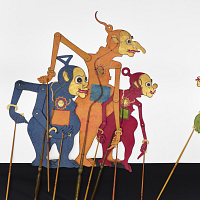 In 1987 UConn Puppet Arts alumni and community supporters of Frank Ballard created the Puppet Preservation Committee to maintain and preserve the puppets Frank Ballard had designed, built, and collected. 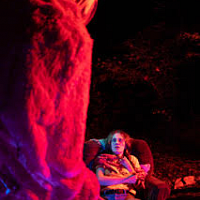 In 1989, the Committee was combined with a Dramatic Arts Department program Professor Ballard had begun, the National Institute and Museum of Puppetry; and in 1992 the program was re-named the Ballard Institute and Museum of Puppetry, and in 1996 the Institute moved to a location on the University of Connecticut Depot Campus. 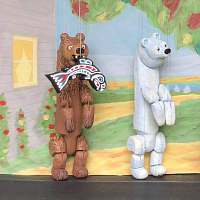 In March 2014, the Ballard Institute moved into a brand-new location in Storrs Center and offers workshops, museum tours, lectures, forums, performances, and other programs that promote the art of puppetry.